A successful blog is not just one that brings in a lot of visitors, but one that can nurture a loyal community of people who repeatedly come back to your blog and can help grow your audience for you. All successful blogs have a community based around them. This is a group of loyal followers who regularly read and comment on blog posts. A community is made up of like-minded people, and this core audience can help generate further interest in your blog by referring to it on social media platforms and bringing it to the attention of other people with similar interests. There is a difference between an audience and a community. Audiences are passive. They visit a blog to read information, nothing more. A community, however, will actively engage with a blog. People will visit to comment, exchange ideas and debate the subject area. To encourage a community, you need to create an atmosphere that enables interaction, engagement and commentary. Communities also need something on which to focus. A niche topic: Communities often form around subject topic areas, such as science fiction films, sports teams or hobbies and pastimes. Products and manufacturers: Blogs centred on products and manufacturers, such as Apple’s iPhone, acquire ardent fans of the technology. An idea or belief: Like-minded people like to have their ideas and beliefs affirmed. Politically-based blogs, or those that centre on particular ideas or core beliefs, generate loyal communities. When it comes to building a community, you need to decide on what role you as the blogger are playing. Some bloggers thrive on controversy and self-opinion. Their views are what attract people to the blog and the community is very much centred on the blogger. Other bloggers take a different approach. They take more of a back seat, acting as a conduit and presenting the information for others to debate. Hot Tip: Try to write your blog posts in the same way as you speak. Imagine you are discussing the topic with a friend over a drink to ensure your blog does not sound too formal and your personality is coming across. Whatever role you decide on, you need to be yourself. Write directly to your audience and let your personality show in your writing. To start a community, you need to encourage interaction. Openly ask for opinions in your blog posts by posing questions in your conclusion. When people make a comment, acknowledge it and thank them for their views. If they have a blog, link to it and promote their comment on social media. Your community can grow from these early commentators, so make sure you cultivate them and encourage them to make further comments. When you start getting comments, identify the people who make the most frequent comments, hold strong opinions, sound the most informed or get the most responses from other readers. These people bring value to your blog, so empower them. Ask if they would like to guest blog or to give suggestions for new posts. Consider their views and come up with blog posts that they are likely to comment on. Provide your community with the information they want. Early on, identify those blog posts that are getting the most views and comments. Tailor your posts around these subject areas. Write things that you think the community will appreciate. You cannot expect a community to suddenly stumble across your blog and form around it. You need to be part of the community you are trying to build in the first place. This means you need to be active in places where the community hangs out. Other blogs: Post regular comments on other blogs and include a link to your own. Forums: Become an active member of forums related to your topic and make regular contributions. Social media: Join social media groups relating to your subject area. Hot Tip: If you are struggling to get comments, identify people who regularly comment on other blogs and forums. Invite them to comment on one of your posts or ask them to write a guest post. All communities start small and, once you get one or two readers who regularly comment, you will be surprised at how quickly you can grow your community. However, you need to ensure you are looking after your early community members and providing them with content they want. Once a community has started to form around your blog, you need to nurture it. A blogger can never relax, expecting his or her community to remain loyal. A community needs to be fed and, unless you are providing engaging content that its members can discuss and debate, they will soon go elsewhere. As the community gets bigger, blogging may become more demanding and you may need to find new ways to keep your community engaged. Contact contributors: Once you have an audience and community behind you, you may be able to convince authoritative sources to contribute to your blog. Share your community: You are not in competition with other blogs, but part of a wider community, so do not be afraid to link to other bloggers, promote their blog posts and ask for guest contributions. Just because people are not commenting on your blog posts does not mean they are not part of the community. You will find that, for every person who regularly comments, dozens more visit your site. While the community members who make regular contributions should be looked after, do not ignore those who do not. You can encourage people who do not like making comments to contribute in other ways. 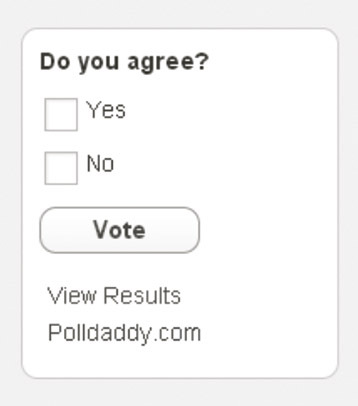 Polls: Conducting polls makes it easy for people to voice their opinions without having to write comments. Votes: Like polls, asking for votes can encourage interaction without people having to voice their opinions. Allow anonymity: Not everybody wants to be known. Allow people to comment anonymously. Above all, to keep a community happy and loyal, you need good content. Make sure you do your research. For your blog to be a valuable resource for a community, you need to be an authority and provide good information that sparks debate and encourages interaction. This post is based on an extract from our bestselling book, How To Blog Made Easy by Richard N. Williams, ISBN: 9781783612314) – where you can find more on the above and further help and advice on blogging. Have a look on Amazon by clicking here. Check out 24 impressive blog plugins here. Do you know the 10 commandments of blogging? Read them here. If you're thinking of blogging for someone else, brush up on these Guest Blogging Faux Pas.